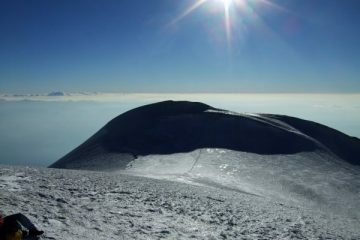 As much as living on an island makes it slightly more difficult to get to places like the Alps and the Pyrenees, it does have its benefits too. Chief among them is the endless coastline within easy reach of pretty much anywhere in the UK, and the many stunning coastal walks that come with it. While not all of it is the most picturesque, we are blessed with some truly incredible stretches which plays host to golden, sandy beaches, rugged cliffs and beautiful seascapes. 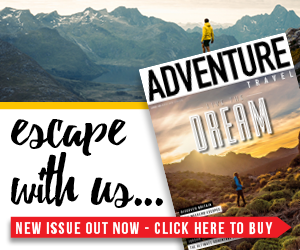 To help you explore the best of the British coastline, we teamed up with Bridgedale (currently celebrating the 21st birthday of the firm’s infamous WoolFusion Trekker socks) to provide you with a list of seven of the best coastal walks in the UK. 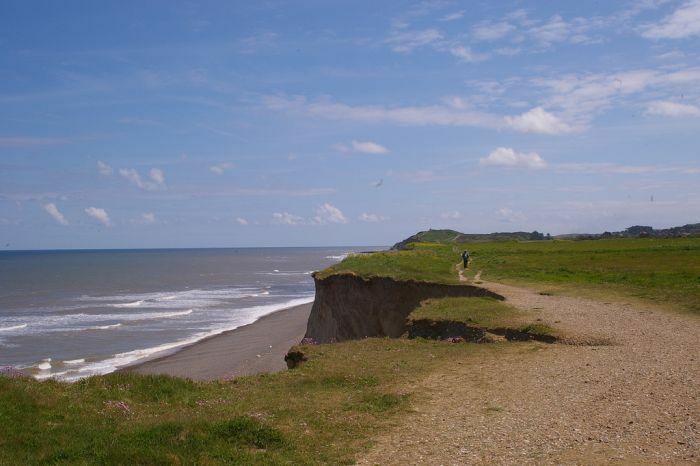 Running between Hunstanton and Cromer, the Norfolk Coast Path may not have the same headline appeal as the South West Coast Path, but it’s still a great option with some fantastic scenery and great places to stop along the way. We recommend the stretch between Cromer and Wells-next-the-Sea for a decent taster. This section will give you the opportunity to pass beautiful sandy beaches as well as the Blakeney Point Nature Reserve, an area of sand dunes, shingle, marshes and mudflats. If you’re lucky, you might even see seals gathering at the end of the spit. It’s one of the key stops on the tourist trail in Northern Ireland, and for good reason. 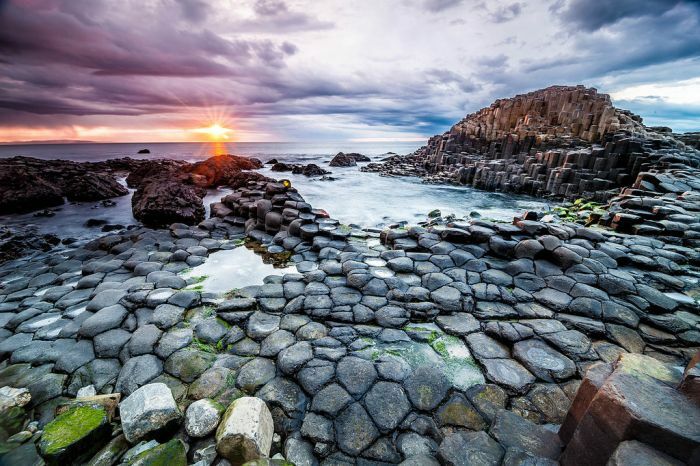 The stepped stones of Giant’s Causeway are a spectacle to behold, and if there’s an opportunity to avoid the crowds, you need to take it with both hands. Fortunately, this short trail might just be the answer. Starting at the Causeway Hotel, the Runkerry trail takes walkers on a clifftop hike to Runkerry Head affording stunning views of the Causeway stones. On a clear day, you can see across to Scotland and sometimes you can even spot dolphins swimming around in the bay. 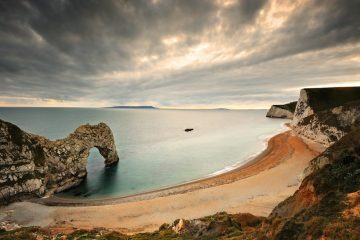 No list of coastal walks is complete without a trip to the Jurassic Coast. You may have visited on a school trip many years ago, but a substantial walk along the coast will blow that visit out of the water. 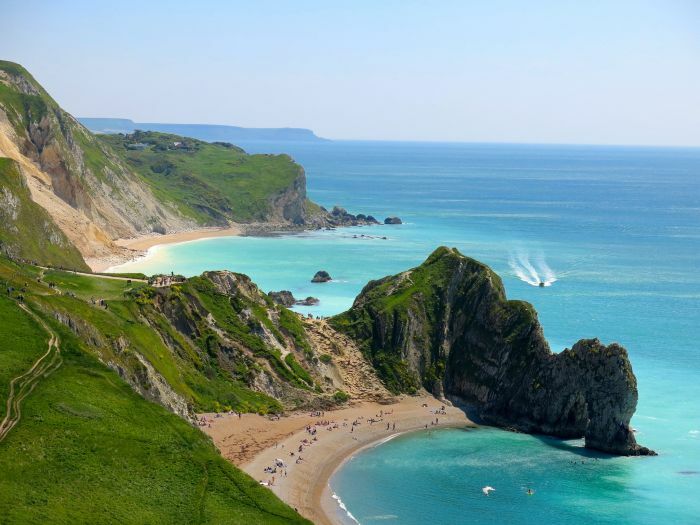 The seven mile route starts and finishes in Lulworth Cove, moving west along the coast path, before heading up onto the ridge once you reach White Nothe, and hiking back to the start via Newlands Farm. 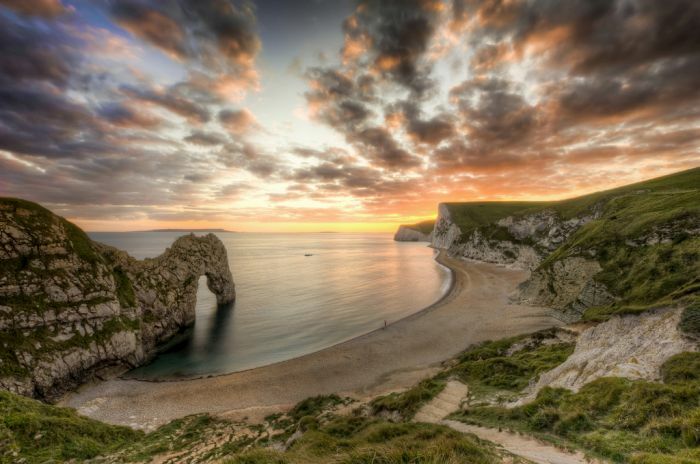 Along the way, you’ll be afforded views of Durdle Door, White Nothe and Lulworth Cove meaning there will be plenty of spectacular photo opportunities throughout the day. 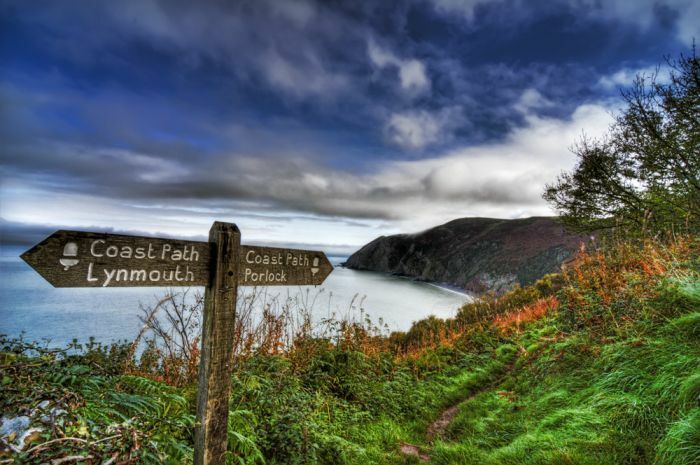 This is a hefty and rugged stretch of the South West Coast Path (which is perhaps the greatest of all coastal walks) that takes you past some of the highlights of the entire route. Starting in Lynmouth and finishing in Croyde, the 32-mile route sees you take in the towns of Illfracombe, Woolacombe and Croyde meaning there are plenty of places for a stop along the way. You’ll enjoy stunning bays and fantastic views across to South Wales while you’ll be rewarded in the final stretch of the hike with the fine, golden sand of the beaches at both Woolacombe and Croyde Bay. 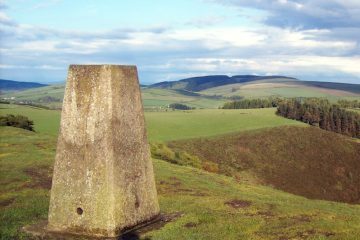 This stretch of the Fife Coastal Path represents a fantastic way to see more of Scotland and delve into some of its history. The route takes in castle ruins, restored windmills and several fishing and harbour towns. 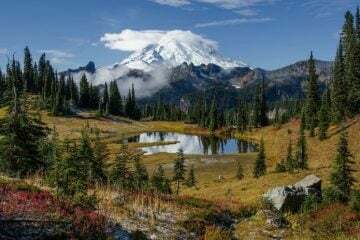 At 16-miles long, the route requires a reasonable level of fitness and it can be particularly rough underfoot, so be sure to walk in stout footwear. 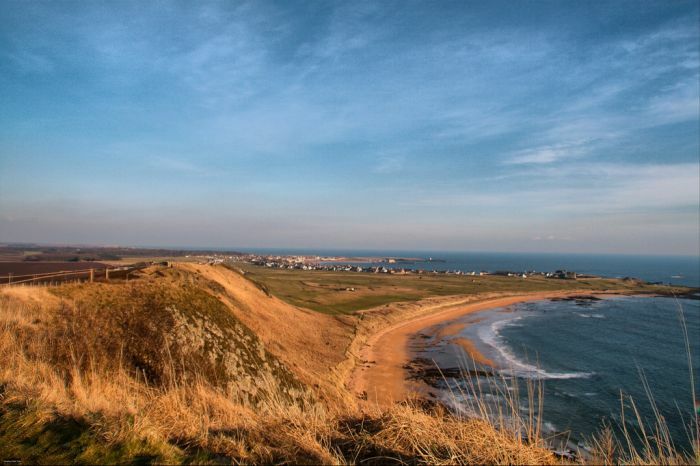 Highlights along the route include the incredible, 14th century St Monans Church, the fishing village of Pittenweem and also Anstruther, a popular tourist spot with award-winning fish and chips. 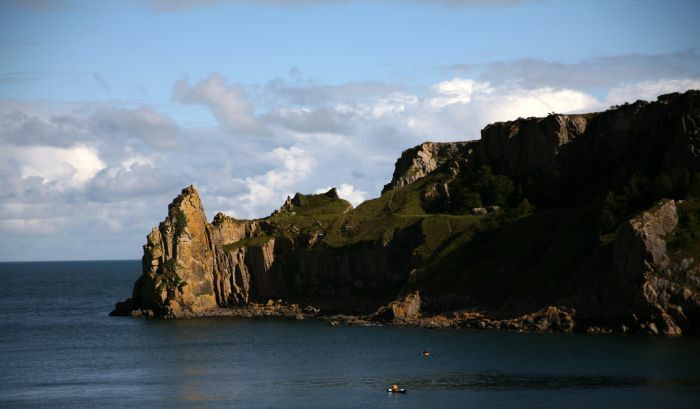 The Pembrokeshire Coast Path spans for 186 miles along some of the most incredible coastal scenery in the UK. 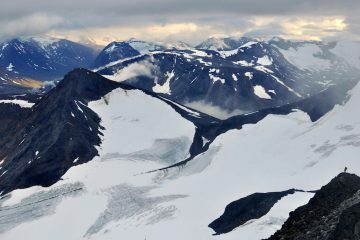 It takes hikers through a variety of landscapes including volcanic headlands, glorious beaches and steep limestone cliffs, as well as multiple estuaries and flooded glacial valleys. If you’re not lucky enough to have the spare time to walk the entire thing, you’re going to have to choose a section. Spanning for just over 11 miles, the section between Amroth and Lydstep is a good option with a mix of terrain to keep things fresh. On this section, hikers are usually afforded stunning views across to Caldey Island, the Gower and Devon, while you’ll also pass through one of the only wooded sections of the track and the charming seaside town of Tenby. The walk from Elgol to Camasunary and back is just shy of six miles, and while it’s not the longest of journeys, it certainly packs a punch. 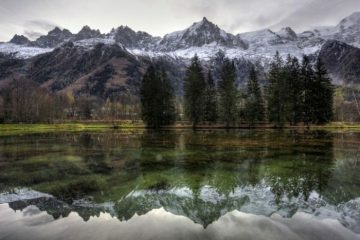 Your target is Camasunary Bay, a beautiful spot which also plays host to a bothy for those seeking shelter for the night. On a clear day, the views out to sea offer glimpses of the islands of Rum and Soay, but look inland and you’ll be greeted by the spectacular Cuillins including that of Bla Bheinn and Marsco and the more jagged Sgurr na Gillean. Of course, when taking on rugged coastal trails like the ones listed above, it’s crucial you have comfortable feet! Bridgedale’s famous hiking sock WoolFusion Trekker has been giving thousands of hikers’ mile after mile of comfy walking for the past 21 years and now they’ve celebrated the anniversary by launching a Limited Edition Anniversary Trekker Twinpack. To find out more about Bridgedale’s WoolFusion Trekker socks, which are perfect for coastal walks, head to www.bridgedale.com. Join in the conversation on Twitter using @Bridgedalesocks and #Trekker21st. 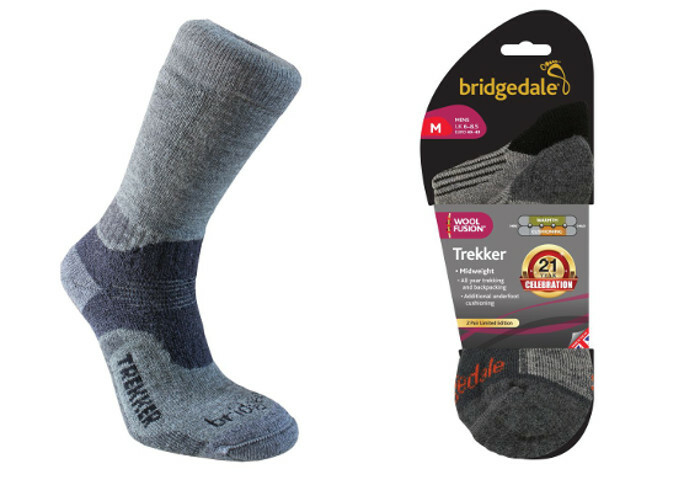 To win one of these special anniversary twinpacks, follow @Bridgedalesocks on Twitter and share your favourite walks using hashtag #Trekker21st.